Breastfeeding Rights #infographic ~ Visualistan '+g+"
Currently in the United States caregiving duties are the single biggest reason women give for not participating in the workforce. Certainly some of these women do not want or need to be in the workforce, but things like the high cost of childcare, inflexible schedules, and lack of facilities for pumping milk after the birth of a child are keeping women out of the workforce who may want to be in it. The United States is the only industrialized nation with no paid parental leave, and even though there are federal and state laws that protect a woman’s right to breastfeed women are still hassled and bothered when they just want to feed their children. Choosing to breastfeed should never keep you out of the workplace or prevent you from going out into public. Yet public perception of breastfeeding has not caught up to other areas of women’s children’s and parenting rights. 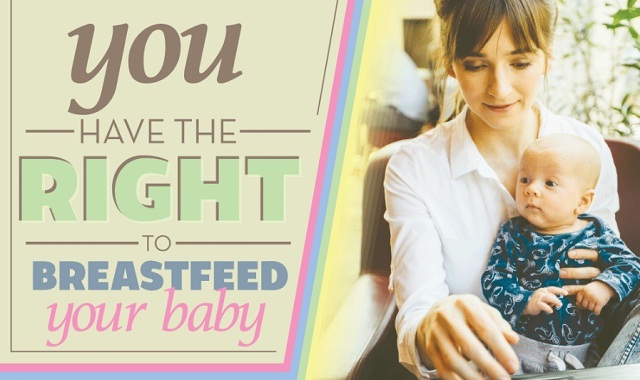 Learn more about breastfeeding rights from this infographic!